Create your own United States territory map to help represent sales or sales territories for different regions of the country. You can select and color each individual state and create legions to dipict sales reps per territory, identify which states produce the most revenue OR you could also add pinpoints to create an illustration for distribution center or office locations. The possibilities are endless! 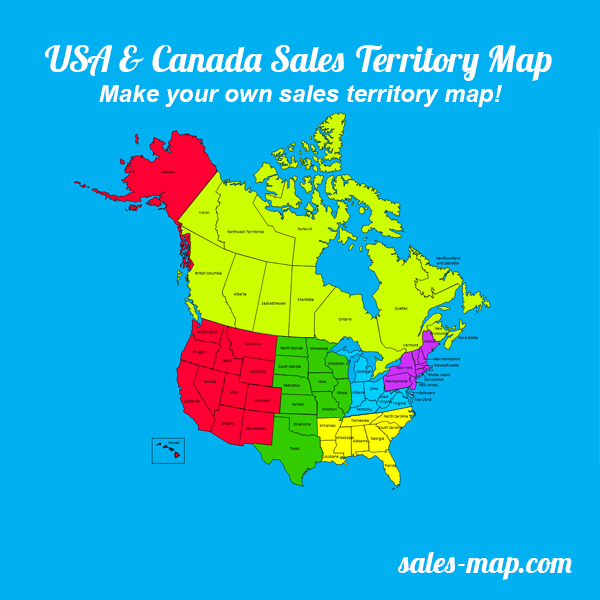 Editable United States and Canada sales territory map ready to customize! 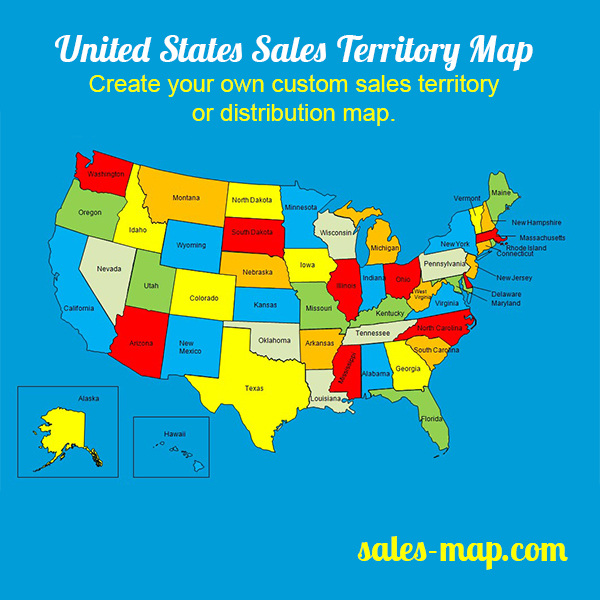 Create custom sales territory maps for the United States and Canada. Show where your sales are, what territories your reps cover, where your distribution centers are and so much more! Download this PowerPoint slide and start customizing today!